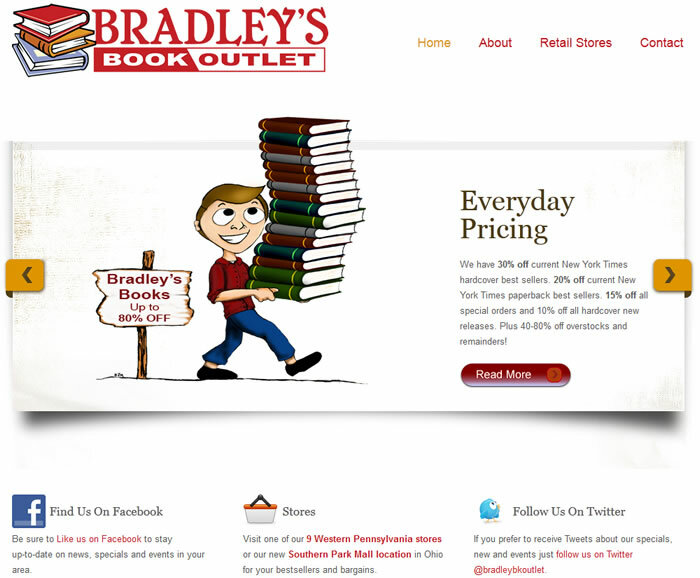 Bradley’s Book Outlet wanted to take advantage of their existing GoDaddy “Website Tonight” hosting plan. While not ideal, we were able to work within the severe GoDaddy Website Tonight limitations to design an affordable website that would showcase their assets and drive customers to their stores. While waiting for their new site to be commissioned they asked for a coming soon website to hold people over. We designed and hosted a temporary website for Bradley’s with a countdown clock to increase customer anticipation.